A high-flying party with cute orange planes! 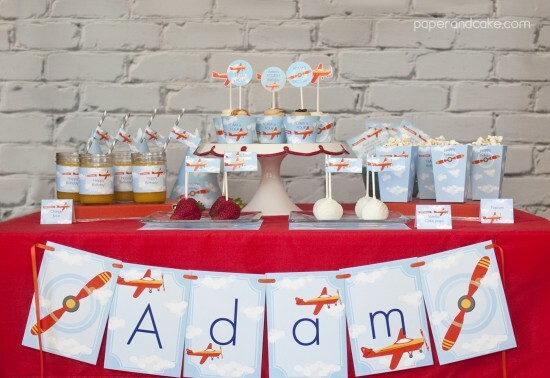 We’ve got printables and shipped decor for an Airplane Birthday. 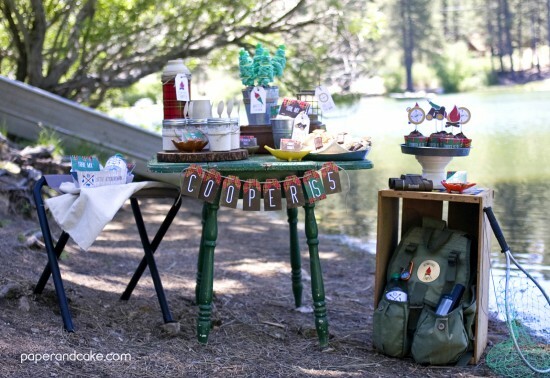 Throw an all star bash with vintage baseball style. 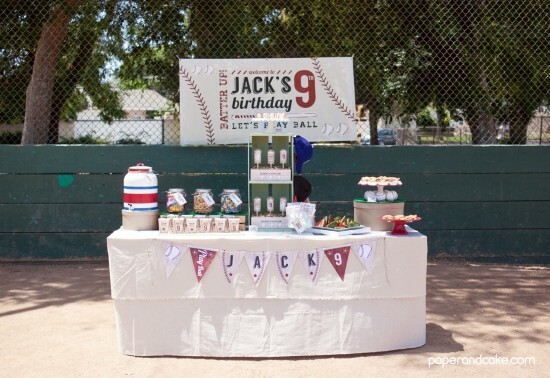 Hit it out of the park with this Baseball printable birthday party kit! A perfectly sweet dino dig themed birthday. 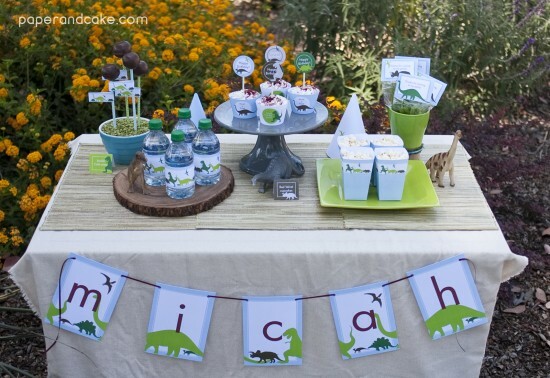 Choose a printable kit or personalized shipped decor for your Dinosaur Birthday Party! 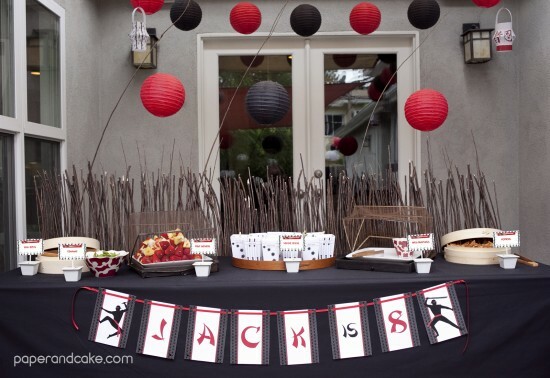 Need a matching party activity? Try our coordinating Dinosaur printable photo booth props! Deep sea diving with the danger of sharks! 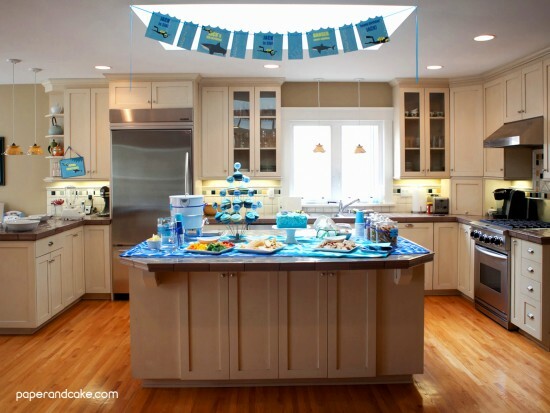 Download our printable Sharks and SCUBA birthday decoration kit, or get personalized items shipped to you. 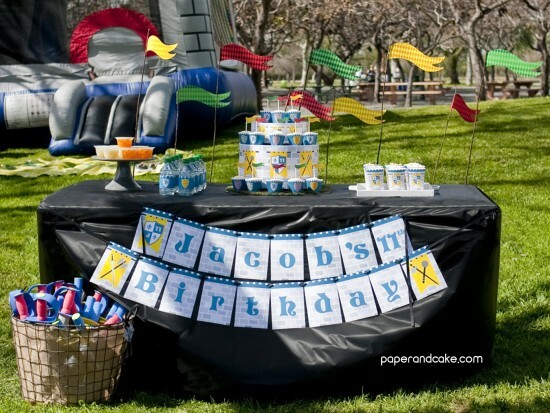 We even offer a Sharks and SCUBA how-to guide for making your party planning easy! Retro video games are so timeless! 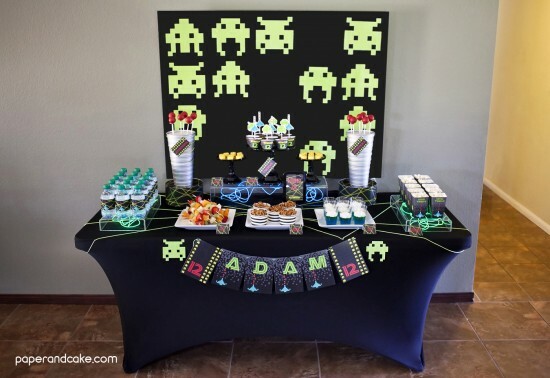 Download everything you need to decorate a Video Game Birthday party! Choo Choo! All aboard for a darling train party. 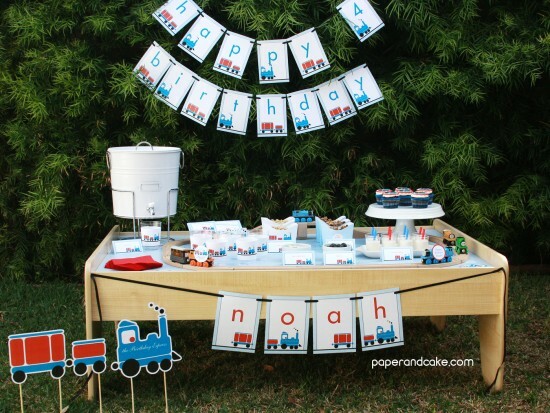 Choose personalized items from the shop to be shipped to you, or download this Train printable birthday party kit. POW! ZAP! BOOM! 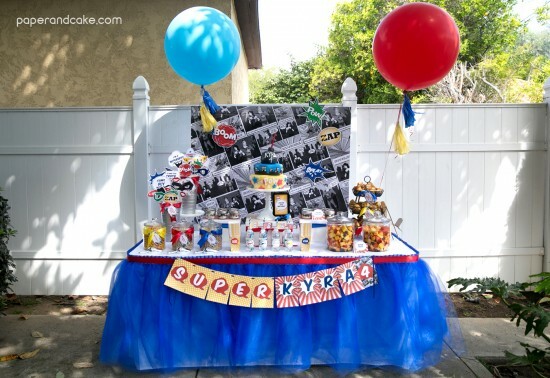 You’re a Superhero for decorating your little ones birthday party with this comic book themed kit! Need a matching party activity? Try our coordinating Superhero printable photo booth props! Houston, we have lift-off! 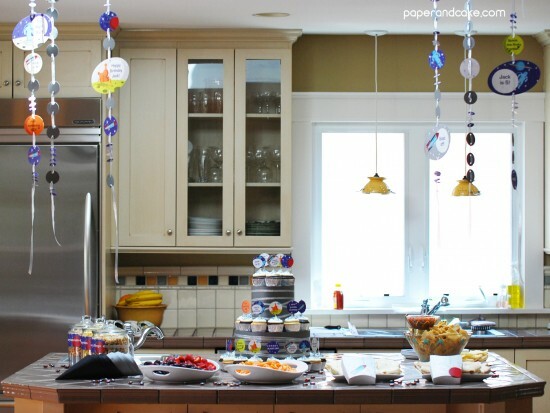 This Space themed party decor kit is out-of-this-world! GOOOOOAAAAAL! 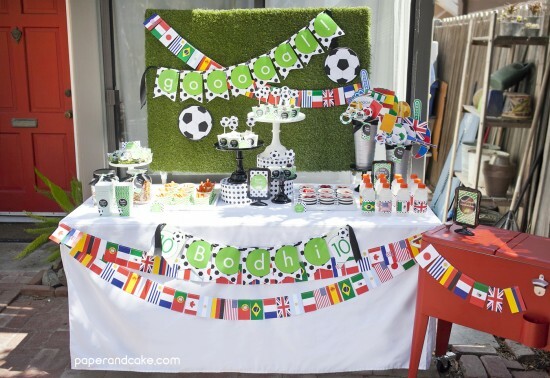 Whether you call it Soccer or fútbol, our black, white and green printable birthday collection will have you cheering for your team! Need a matching party activity? 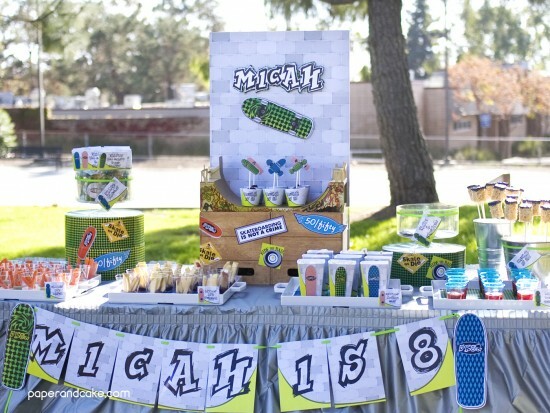 Try our coordinating Soccer printable photo booth props! 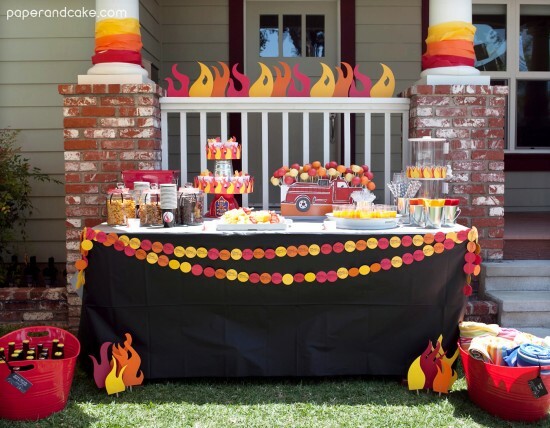 Have a Fire Truck themed birthday party to plan? We will help you set your house on “FIRE” with paper flames and vintage fire truck illustrations! 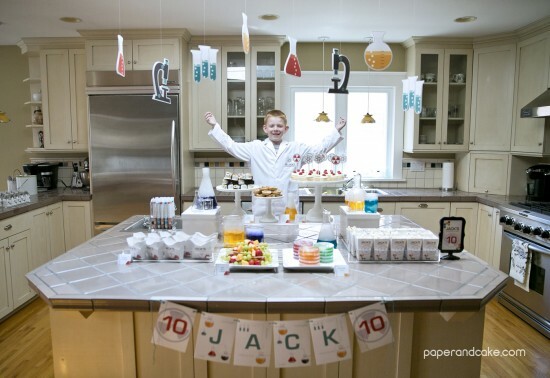 Throw a Science birthday party that promises to spark lots of curiosity in your budding scientist. Need a matching party activity? Try our coordinating Science printable photo booth props! Do you have a little birthday child who LOVES being outside? 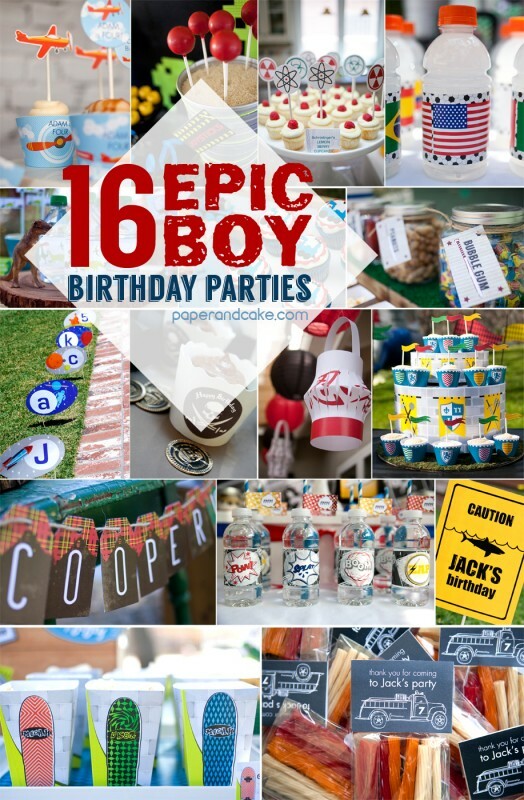 Well then its an Outdoorsman themed printable party for you! Put on your tunic and get out your broadsword because this party will be medieval! Print this Medieval Knights printable party at home, or have us personalize it and ship to you. Calling all birthday Ninjas! It’s time for Make Believe Espionage, Donning of Disguises, Paper Weaponry Forging, and of course Cake Eating. Arigatō! 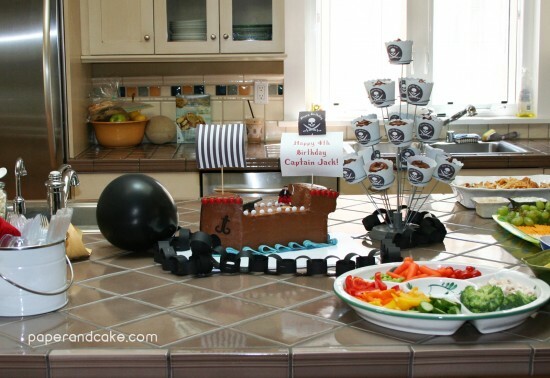 This swashbuckling Pirate Birthday collection has a treasure trove of creative and money saving ideas… aaargh you ready? Don’t be a Poser, just Shred with this SICK set of Skateboard printable party decorations!